In the legends of many countries of the world there are creatures resembling a sea dragon or a gigantic sea serpent. 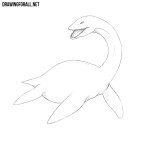 One of the most famous such creatures is the famous Loch Ness monster, a drawing lesson about which is already available on our website. So, let’s start the lesson on how to draw a sea serpent. 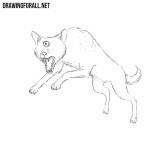 Let’s start with the basic outlines of our monster. Here we sketch out a head and a long torso-tail. Draw a lower jaw and a long snake tongue. 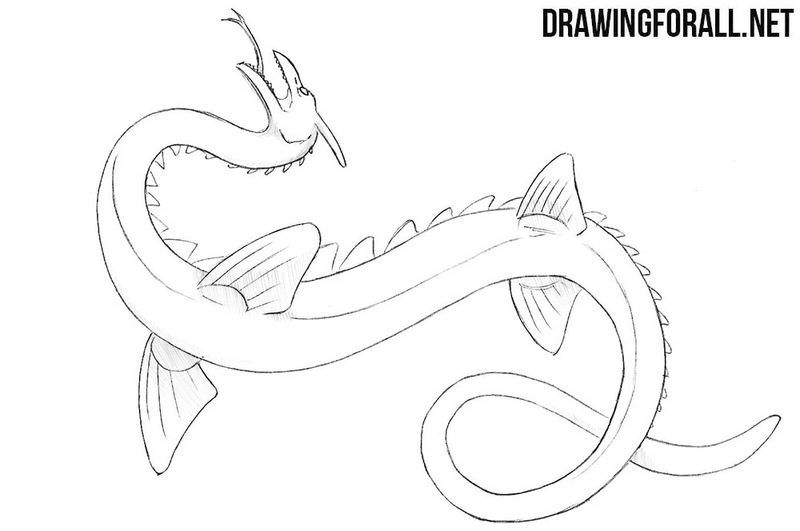 We thicken the body of the sea serpent and draw the fins. 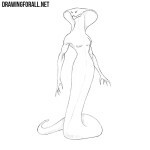 Draw out the head, details of the face and teeth of our monster with clear and dark lines. 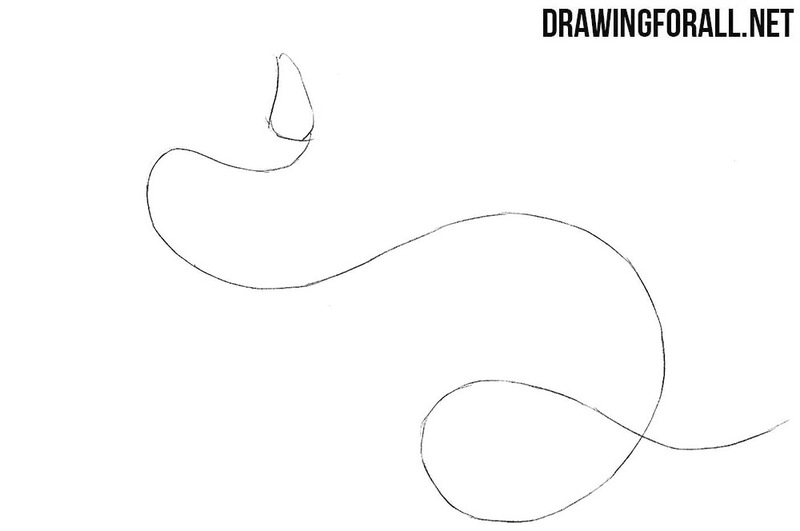 Now go to the body and fins of sea serpent, drawing it with the help of long and smooth lines. Now draw a line on the belly and comb on the back that goes from the end of the head to the end of the tail. Now let’s make our drawing more voluminous, adding a few shadows using hatching of different density. 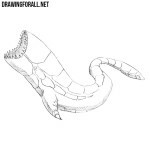 It was a collective image of a sea serpent, and using the tips from our lesson you will be able to draw any sea monster. You can add some other details, for example some more heads or wings. 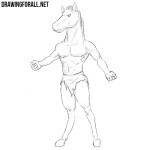 You can also visit our category under the name “Myths and Legends” in order to learn how to draw a variety of monsters or heroes.